I know a lot of folks out there are getting hit with their first snow of the season this week. All these pictures of snow covered fields makes me very thankful for our southern climate. Yesterday, we got (probably) the closest thing we will see to white fields. Major frost covering the pasture. This doesn't happen very often for us, so of course I had to pull out the camera for some shots of the icy grass before the morning sun came out and melted it all away. Everyone was fine. Even the rabbit babies that were just born on Thanksgiving day were snuggled up in their nest boxes covered in their mother's fur. I apologize for the lack of posts lately, but we have been a little crazy processing and delivering turkeys for Thanksgiving. 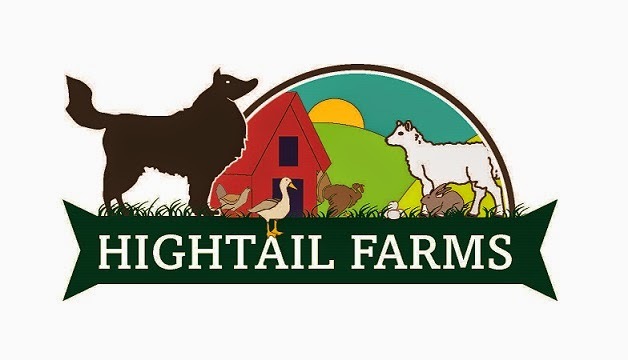 Thanks again to everyone who supported us and had a HighTail Farms turkey on their Thanksgiving table! The responses we have gotten so far have all been very positive. I'm actually working on a post right now that gives a detailed step by step of how we process our birds so stay tuned!